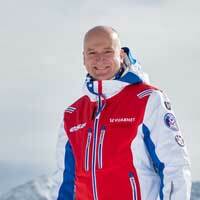 I have a passion for ski teaching and am highly motivated to help you to unlock your ski potential. Above all, I want you to feel that you’ve been looked after on the mountain. I learnt to ski as a young adult so I remember the emotions involved in the learning experience. I therefore tailor my ski coaching to your exact needs to help you make lasting breakthroughs in your skiing performance and enjoyment. I make sure you are on terrain that’s appropriate for your development. I use simple learning steps whilst having fun. I believe in enhancing the skills you already have instead of relying on a rigid technique formula. I'm delighted to welcome back returning clients to Méribel each winter and I look forward to sharing my love of skiing with new clients this season. You can read a bit more about me below. Click here hello@mh2ski.co.uk or use the form on our Contact page. Full phone contact details also on our Contact page.